The NBA has never seen a tighter backcourt than Kyrie and Dion. They truly shocked the NBA world. 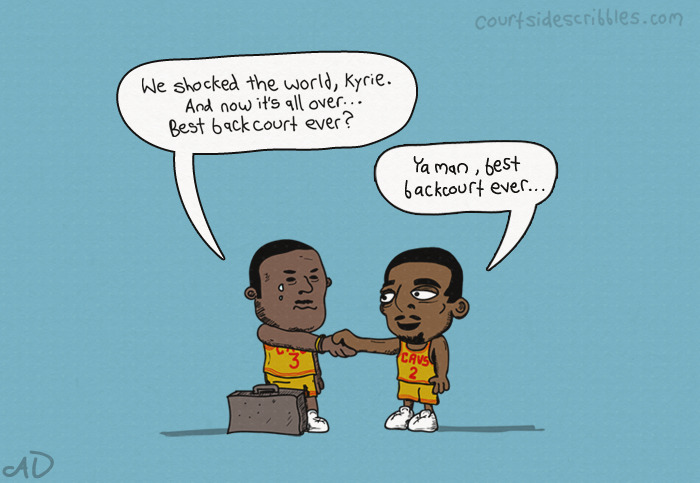 When Dion was inevitably traded 3 months later, he and Kyrie reportedly had a tearful goodbye. Just before Dion boarded the Waiters express to Westbrook world, he reflected with Ky on their past glory.